The Cluster Fly is commonly seen in the fall, winter and spring, especially on warm days. During the late summer, female cluster flies lay their eggs in the soil. Within a few days, the eggs hatch and the larvae emerge to feed on earthworms. In late summer and early fall, when the nights start to turn cold, adult cluster flies seek shelter inside homes, where they remain for the winter. Sometimes, called attic flies, cluster flies often enter a home by squeezing through tiny cracks and weatherstripping. The best defense against cluster flies is a pest application applied by a cluster fly pest control professional in late summer and early fall – before the flies enter your home. 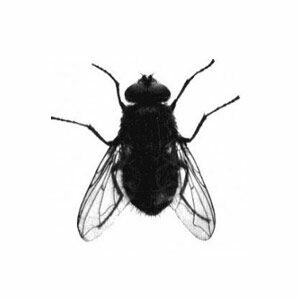 Therefore, the best time to treat your home for cluster flies is between August and October. While applications can be made on the interior of the home during the winter months, it is not recommended due to limited success. Cluster flies are a common pest problem in Upstate NY and Western Vermont, including Albany, Saratoga, Lake George and Rutland. If you live in or around these areas and you’d like to schedule a cluster fly treatment or a free inspection, call (518) 745-5958 in New York, or (802) 855-2978 in Vermont.